Why does God make animals that hurt you? 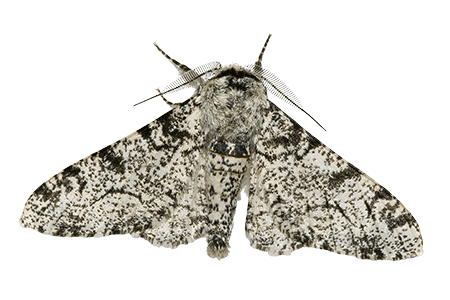 The English Peppered Moth has been used in many science books to “prove” that evolution occurs. According to evolutionists, before the industrial revolution in England, most of these moths were a light, speckled-gray color. Their light color supposedly blended in with the tree trunks, which camouflaged them from birds. A dark form of the moth also existed, but supposedly it was rare because birds could see it easier and eat it. However, when the industrial factories in England started producing soot and smoke, the trees began to turn black. 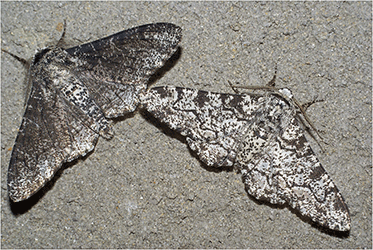 Due to this change, the light-colored moths became easier to see, and the darker moths became camouflaged. In only a few years, the black moths greatly outnumbered the white moths. This change in the moth population proves that species can “evolve” different characteristics that allow them to survive—at least that is the story told by evolutionists in many science books. Second, dark moths and light moths have always been around. No new genetic material was created to form a black moth. Also, the moths were still moths! They did not change into lizards or mice. The moth population always had the built-in ability to vary in color, but the moths never had the ability to become anything other than moths. Those who believe in evolution make a major mistake in their thinking. They assume that if nature can change an animal a little bit over time, then it can change that animal into a new animal over a long period of time. Evolutionists do not seem to realize that small changes have limits. For instance, suppose it takes you nine minutes to run one mile. But you decide to exercise and get into shape, and every week for the first three weeks you run the mile one minute faster. Does that mean that you will be running the mile in zero minutes by the ninth week of your training? Of course it doesn’t. Eventually you will reach a point when you cannot run any faster. Moths may change color or size over several generations, but they will never change into anything other than…a moth!